I have loved books for as long as I can remember. I always loved to find a quiet corner and read. My mom has said that, even as a baby, I could entertain myself for hours with just a few books. I think it was in grade three that I actually won a read-a-thon at school. I’m not bragging or anything, but as the winner of the student who read the most books in the whole school, I won a Sony Walkman. For those too young to know what that is, please look it up. It was a pretty big deal in 1983. I digress. This isn’t about my winning a Walkman; it is about how Judy Blume was a very important person in my childhood. Her books showed me humour, understanding, perspective, and love. 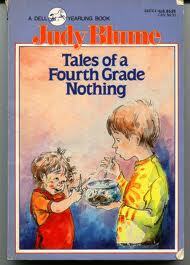 The first book I read from her was Tales of the Fourth Grade Nothing, and I was in grade four when I read it. (How appropriate). I clearly remember reading during a quiet reading time we had in class, and I actually laughed out loud, and got in trouble, for disrupting the class. But I couldn’t help it. Fudge was one funny dude! From there I was hooked! 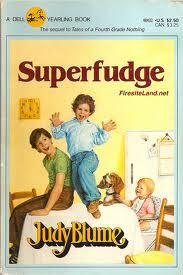 I read Superfudge, Double Fudge, Freckle Juice and Otherwise Known as Sheila the Great. Those characters still cross my mind as still smile fondly when I think of the scene when Fudge dumps a bowl of corn flakes, milk and all, over his head. I loved those books. Then I discovered all the other titles and while I’m pretty sure I read them all, there are some that I still hold dear to my heart; Blubber, Iggy’s House, Then again, maybe I won’t and of course, Are you there God? It’s me, Margaret. Each and every one of those books burned a hole into psyche. As many young girls did, we could connect with the way Blume used the characters to tell the story, whether it was about bullying, friendship, prejudice, racism, puberty, transition, religion, heartbreak, divorce or just adjusting to life and growing up. I don’t know anyone my age who didn’t relate to at least one of her books. 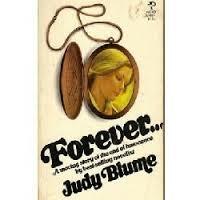 When you mention Judy Blume to most women, the first title out of their mouth is Are you there God? It’s me, Margaret. I think that’s because this was the book that spoke to them about how their bodies were going to change. From getting a bra for the first time to getting your period for the first time, that whole tween stage of life was confusing and scary to read about! At the same time, I was grateful that I could read about it privately in my own room, rather than have an awkward and embarrassing conversation. Although I never spoke to God about it, my mom was pretty cool about all those awkward moments, I am still glad I had read that book. And there was that other book. The one that talked about s-e-x. The one that wasn’t available in the school library, but somehow, some way, people found a way to read it. Forever was that book. I had an older neighbour that let me read it at her house. I think while it was a big deal at the time to read about “going all the way”, I think Blume did a great job about being straightforward about it. I also think it depicted an honest look at first loves. 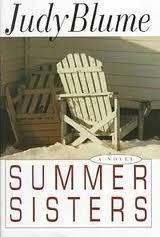 As I grew older, I read some of her other, adult titles, including Wifey, Smart Women and Summer Sisters. While I’m pretty sure I was too young to read Wifey or Smart Women at the time, my parents saw Judy Blume and didn’t question my choice of reading materials. While doing a little snooping around on the net, I noticed that she continued a series of books called The Pain and the Great One for young readers from 2007-2009; however her last novel was Summer Sisters. I’m not sure if she’ll write again, but I am a fan for life. And I can’t wait to get my daughters their first Judy Blume book. The toughest decision will be to figure out which one! What were your favourite books as a kid? 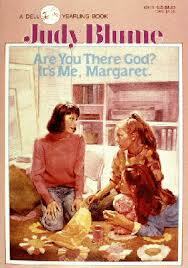 What was your favourite Judy Blume book? I remember going to the library with my mom, and while she was off in the “grown up” part of the library I quickly scoured the Blume titles looking for that other book. (I’d read each Blume book at least seven times so I knew right away that it wasn’t on the shelf). When my mom found me looking she asked what was wrong, I brushed her off saying I couldn’t find a Blume book I’d heard about. SO… my mom took me to the librarian and prodded me to ask for the title (she’s clueless at this point as to what the book was about) and I mumbled the title. The old lady librarian stared daggars at me as she slowly reached to wherever they stored it in some secret place, and then handed it over. I was mortified, but oh how I wanted that book! So I smiled and took it from her hands. Christi, how mortifying, but good for you for being so brave! I would read it when my mom went to visit her friend, and I would hang out with her daughter, who was older than me. I think it took about 4 visits to finish it, but I was too afraid to take it home with me. Although, I’m pretty sure my parents wouldn’t have asked what it was about. So funny! Thanks for the comment! I recall reading Blubber and thinking it was a perfect representation of what doing the right thing meant, no matter the cost. When she broke away from her friends and opened the closet to let the girl “on trial” out I knew in that instant there would be severe repercussions for her, but I was happy that she did the right thing. I’m so happy to find another person who loves Judy Blume as much as me! I loved Blubber too. And I remember thinking that if I was ever in the same situation, that I would want to do the right thing too. I don’t know how I would have gotten through my adolescence without those books! Judy Blume was my favourite author. I remember trading books with my friends at school and we had all read them. I can’t wait to introduce her books to my daughter.